AATC – Engineering & Electronic Warfare – Modern Technology Solutions, Inc.
MTSI's Air National Guard Air Force Reserve Command Test Center (AATC) supports numerous electronic warfare, Joint Terminal Area Controller (JTAC), Battlefield Airmen (BA), command, control, communications, computers, intelligence, surveillance & reconnaissance (C4ISR), domestic operations, cyber security, logistics, sensors, data links, and aircraft operational flight program (OFP) (A-10C, F-15C, and F-16C+/CM) efforts to include: specialized acquisition, program management, integration engineering, engineering liaison, technology insertion, requirements definition, development, testing, data analysis, and reporting. 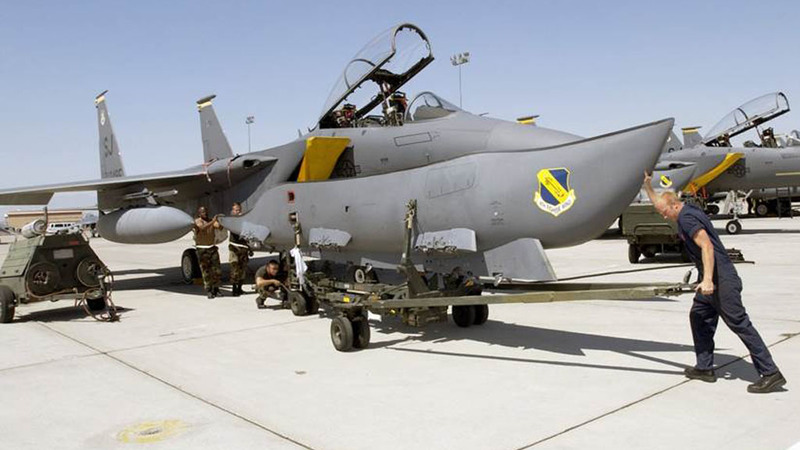 Major projects include the ALQ-131A electronic attack pod, development and test of advanced infrared countermeasures (IRCM) “cocktail” solutions, weapons integration on 4th gen fighter platforms including Advanced Precision Kill Weapon (APKWS) and Small Diameter Bomb (SDB), F-15 passive attack sensor system (PASS), infrared search and track (IRST) integration, test, and evaluation, C-130 precision airdrop system, F-16 center display unit development & test, ASQ-236 integration & testing, algorithm development and testing of legacy fighter radar warning receivers (RWR), and data link network development and implementation. Project engineers conduct technical reviews, host technical interchange meetings, and participate in Test Plan Working Groups (TPWG) and risk management boards in concert with AATC. Locations include: Tucson, AZ; Las Vegas, NV; Ft. Walton Beach, FL; Warner Robins, GA; Dayton, OH; and Jacksonville, FL.